Halo 4's arsenal includes numerous weapons, some of which you're familiar with, and others of which you are not. 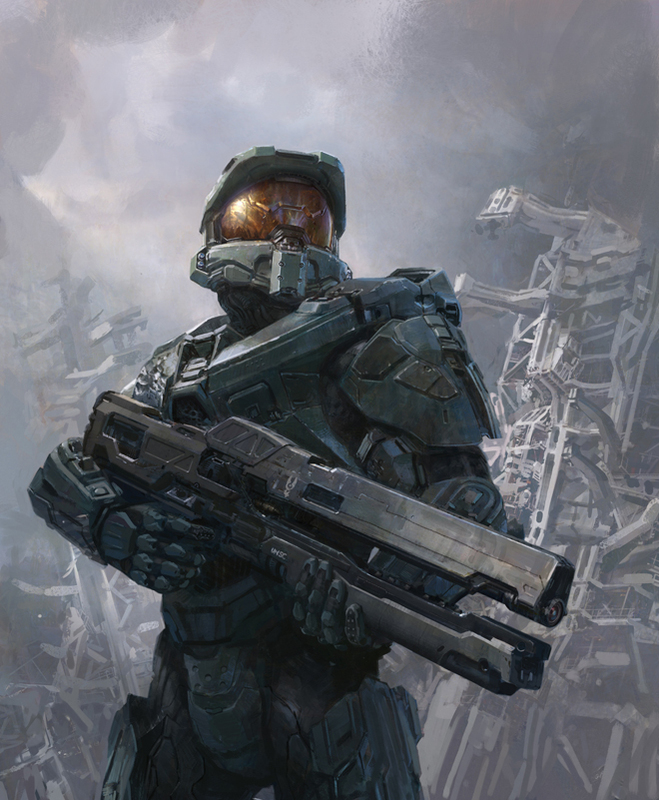 One of the all-new aforementioned items you'll have at your disposal in Halo 4 is the Railgun. Manufactured by Acheron Security, its official designation is the Asymmetric Recoilless Carbine-920. "I, (insert your super 1337 gamertag here), solemnly swear to remember that the following information is not only subject to change, but in all likelihood will change before the game ships. I will also remember that when one of the below details does change, I will not be angry at bs angel, or send her angry messages. And that goes for as long as we both shall live." Now that the formalities are out of the way, let's chat about the current iteration of the Railgun. To give you a reference point, we'll compare it to the Spartan Laser. Like the Spartan Laser, the Railgun has to be charged before firing. There are appropriate (and awesome) audio cues when that's happening. The Railgun's charge time feels like approximately half of the Laser's. One of the more notable differences between the Railgun and the Laser is the Railgun does not have a zoom function. While I initially saw that as a negative, it turned into a positive because the lack of a zoom function eliminates those moments when you're making an adjustment, someone shoots you and pulls you out of zoom, and you end up overcorrecting and missing your target. The Railgun offers more of a static experience where the corrections you're making, whether someone is shooting you or not, are going to be the same. If you move left, the reticle is going to stay to the left. If you move right, the reticle is going to stay to the right. Ultimately, it lets you muscle your way through taking fire, allowing you to be clutch with a one-hit kill weapon. The Railgun does not do as much vehicle damage as the Laser, but strategically placed shots are able to change a vehicle's force and direction. When its projectile hits a vehicle, it has the potential to send it flying, rolling, or perhaps even off a cliff because of the kinetic energy (similar to repeatedly hitting a Warthog with a Brute Shot). Once the Railgun has been fired, it feels instantaneous; the moving projectile doesn't feel like it has a lot of travel time (think Rocket Launcher vs. Laser). Overall, in its current iteration, it's considered a power weapon as it is super lethal and deadly accurate. When the game ships, though, it may end up shooting marshmallows. Marshmallows of death, doom, and destruction, but marshmallows all the same. I think it looks pretty cool, the proof will be in the pudding of course.